Fort Saskatchewan Christian students are raising money to build a playground in the Ukraine. The Grade 3 students took on the fundraising project with the goal of improving the lives of children in the village of Prostore, Ukraine. While the study of Ukraine culture and geography is part of the Grade 3 social studies curriculum throughout the province, Fort Christian teacher Brenda Mueller had a personal connection to offer her students. Her cousin recently toured an orphanage-turned-school, built by her husband’s great grandfather while visiting the small village in the Ukraine. While the school was found to be quaint and tidy, it lacked a proper playground. The Grade 3 teacher then starting sharing photos and the story of Prostore to her students as part of their social studies lesson. As a class they decided to start fundraising to build a playground for the children of this Ukrainian village. To date they have raised roughly $2500. It is estimated the playground could cost $20,000. To make a donation or for more information contact Fort Saskatchewan Christian at 780-998-7044. 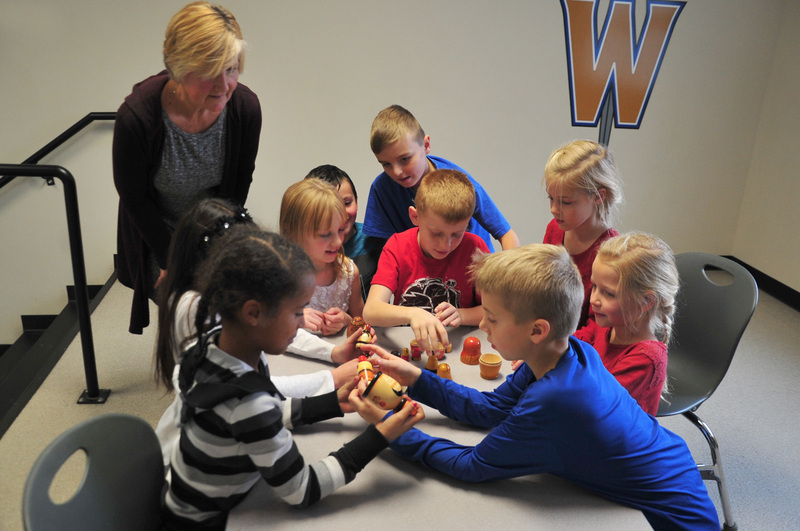 Photo supplied: Fort Saskatchewan Christian Grade 3 teacher, Brenda Mueller with students.